Despite the many problems it faced, Kangana's Manikarnika is set for release. 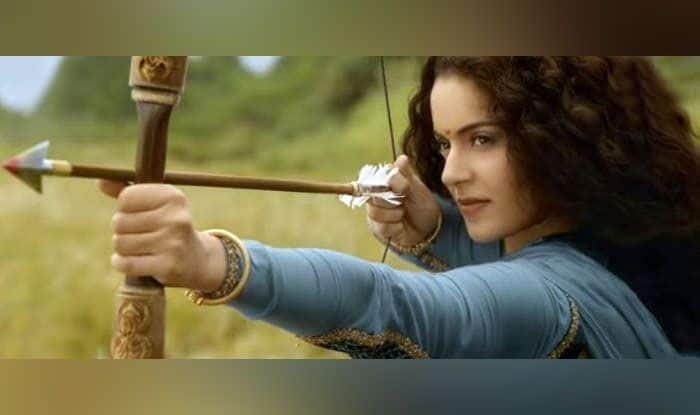 Manikarnika: The Queen of Jhansi is all set for its big release on January 25, 2019, and as per predictions, it could very well end up scoring big on the first day of its release. The movie, which has actress Kangana Ranaut as its main star, is based on the life of Manikarnika Tambe, who later became Lakshmibai, the Rani of Jhansi following her marriage to the Maharaja of Jhansi, Raja Gangadhar Rao. The film also tells of Rani Lakshmibai’s war against the British East India Company, during the Indian Rebellion of 1857. There had a been a few problems during filming of the movie after the director and an actor walked out due to prior commitments. Kangana had to step in as director and it appears she has done a very good of it with the trailer garnering a lot of praise, and fans saying that they cannot wait to watch the film. According to Pinkvilla, film trade analyst Girish Johar has predicted that the movie will perform well at the box office on the first day of its release. “At the end of the day, it has been a difficult journey for Kangana to get this film first initiated, then get it packed and it’s one of the expensive films in 2019. It has huge investments in it. She has had her own struggles, but whatever we have seen in the trailer is good and being the Republic Day weekend release, I believe it should be one of the highest openers day 1 for a female lead (non-holiday). In today’s time, things have changed – if the film is appreciated, it gets high numbers and if not, it changes its gear and it falls much faster,” he was quoted as saying. “Nowadays with the digital world and word of mouth, the audience is too glued to watching the film that has been appreciated and there are umpteen examples of this now, for Uri or for Simmba. The same dynamic is going to affect Manikarnika as well and I believed it should rake in Rs 12-13 crore on day 1. I peg it on that number but if it’s good, it can go higher or vice-versa,” he added. The movie, which is being produced by Zee Studios in association with Kamal Jain and Nishant Pitti, also stars Ankita Lokhande, veteran star Danny Denzongpa, Suresh Oberoi, Kulbhushan Kharbanda and Mohammed Zeeshan Ayyub among others.